Together we will make it even more successful! We are currently making a significant effort to promote the congress and we would be delighted if you could help us spread the word throughout your network! This toolkit provides you with various visuals that we encourage you to use in your communications (email signature, website, newsletter and more!) and during your professional meetings, business trips or participation as a delegate or speaker at various events on your calendars. Follow BGANZ on Twitter, Facebook and Instagram, be part of the conversations and invite your colleagues! Click on the social media icons available on each website page, and share the information with your community and colleagues! Plants have brought Australasian Botanic Gardens together through BGANZ every 2 years since 2003. They have canvassed a range of roles and perceived roles for botanic gardens. They have been about education, conservation, their roles in communities and any number of shades of these themes. Botanic gardens were established to gather plants for economic purposes, for medicinal purposes then alongside private collectors for the joy and privilege that plants can bring. As we have become increasingly urbanised 55% of the world's population now lives in cities people, have increasingly lost touch with plants as the staple of life. Where they come from, their myriad of benefits to people, their contribution to the liveability of our cities. Botanic gardens have a critical role now and in the future. They are the resources and the leaders in the protection of plants, in advocating for plants and for making visible the plant services which we depend on. In the face of climate change, Botanic Gardens have a key role in fostering plant communities, to understand the adaptations need and to ring the warning bells of climate change ever more loudly. Plant species some of whose services to us are unknown, unrealised or unimagined may be lost unless Botanic Gardens continue to take and escalate their leading roles through resources they have. To advocate for our plants and landscapes, make the connection between wheat and Weetbix, pines and paper, their role in providing us with clean water, for the love of plants for our health and wellbeing, for future generations and for the welfare of our planet. 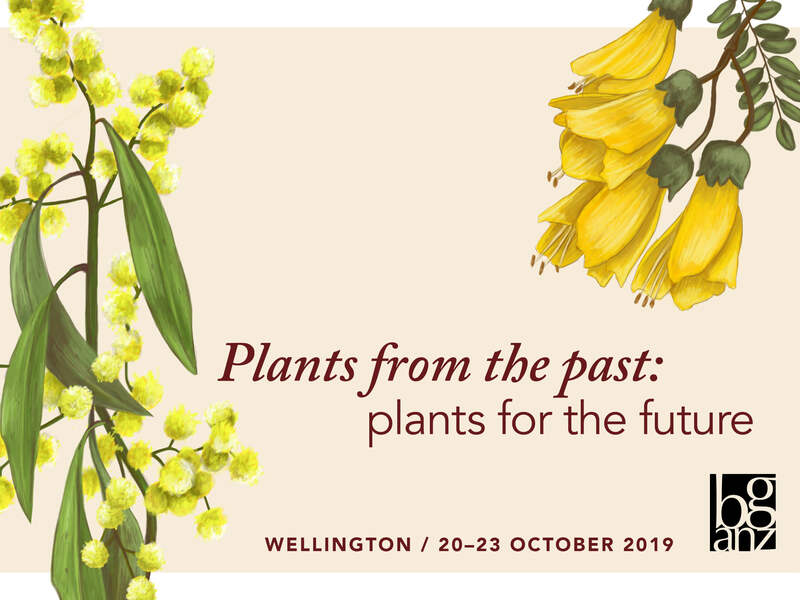 Join us in Wellington to take part in a key gathering of the Botanic Garden community as we celebrate the past, appreciate the present and plan for the future.